SEAFIJI launched two new products as well as its unique safety at the final day of the Fijian Tourism Expo 2015 on Denarau Island in Nadi yesterday. 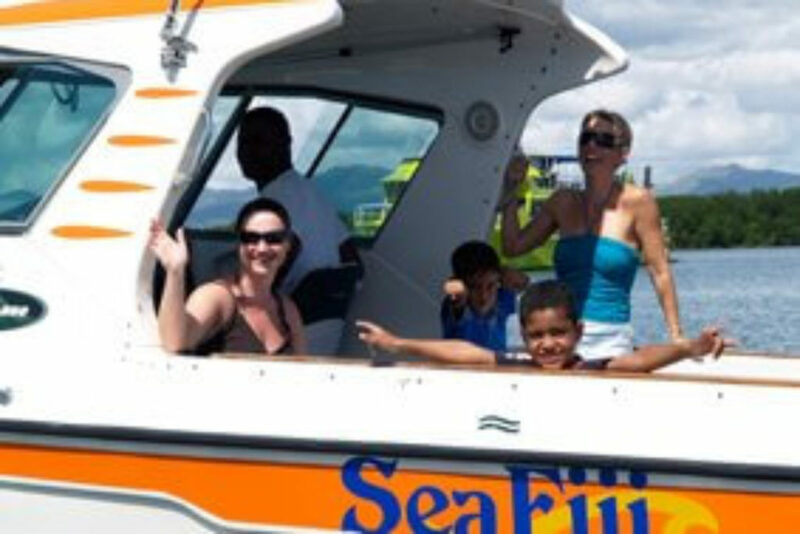 Company’s Airlink in conjunction with Pacific Island Air offers air connections from Nadi airport while SeaFiji Link offers a direct boat service from Port Denarau to the Mamanuca Resorts, catering for all in-bound flight arrivals into Nadi. SeaFiji global director Ron Bradley said they decided to use the expo as a platform to launch their two new products, SeaFiji Airlink, SeaFiji Link and their Safety Video. This, he said, because the event brought buyers from around the world as well as suppliers who were using their services together in one venue. “We therefore have the opportunity to promote these products effectively at one time. They fly or boat its customer to island locations such as Castaway, Likuliku, Matamanoa, Tokoriki and many more for $385 by air or $159 by sea. The video is available on YouTube and their website and is also shown to passengers before departure.